The Newton Lecture Series allows students to explore entrepreneurship, innovation, and career opportunities. The course boasts a changing roster of innovators, entrepreneurs, and Silicon Valley executives and is an entry to the Certificate in Entrepreneurship and Technology. This course is required for the Certificate in Entrepreneurship & Technology. We teach start-up intelligence. Our curriculum consists of guest speakers from top entrepreneurs to investors in the Bay Area. The course will also consist of hands-on assignments and projects to help students build their portfolio. Data-X a technical course that teaches students to use foundational mathematical concepts and current computer science tools to create data-related applications and systems for real world problems. Computer science tools for this course include Python with NumPy, SciPy, pandas, SQL, NLTK, and TensorFlow. Math concepts include filters, prediction, classification, transforms, Bayesian, maximum likelihood, Markov state space, network graphs, and an introduction to deep learning. The tools will be presented in applications common to data flow organization of Collect, Combine, Store, Use, Analyze, and Visualize. This course will immerse students in technology, entrepreneurial, and leadership concepts, mindsets, and behaviors. Students will learn how to lead, grow, and improve to ensure their organizations are optimally managed and led. The class will arm students with specific tools they need to stand out in a crowd and effectively manage and lead. In a competition-based format, students work in cross-discipline lean start-up teams vying to create innovative products. Teams will navigate realistic weekly challenges introduced through case studies. They will understand real-world constraints, use rapid iterative build, and validate development methods. Through frequent interaction with the sponsors and mentors, student teams will develop a working prototype and a "white paper." This course teaches students the necessary product management skills to become a product manager. Students will learn the attributes of great product managers, the tools to reduce risk and cost while accelerating time to market, product life cycle, stakeholder management, and effective development processes. Note: this course replaces 190D. Finance for Entrepreneurs cover startup fundamentals. This course is for students looking to build a scalable business with a need to learn the basic language of finance. In addition to learning the fundamentals of accounting and finance, this course will include the following topics: building a business model, developing financial plans, setting up an accounting system, incorporating, recruiting, fundraising, stock allocations, and negotiating with investors. Collider Sprints are projects designed to connect students with thought leaders in industry and academia. In an effort to find the next emerging fields in tech, Collider Sprint topics are proposed by industry or academic research centers and designed to challenge students to develop innovative solutions that lead to industry or technology advancement, new venture creation, or measurable social impact. Mentoring by industry experts provides students valuable insight into new markets and opportunities while expanding personal and professional networks. All Collider Sprints are team-based and project-driven, providing an opportunity to sharpen teamwork and leadership skills in a multidisciplinary environment. This is a project-based course that uses a learn-by-doing approach to build product design and management skills. Using Design Thinking tools and methods, students will uncover core user need and specify functional requirements for a new product or service. During the course, students will learn to design a product or service, the basics of human factors, allocate resources, manage product teams and conceive and implement a go to market plan for their product or service. The Lean Transfer course provides hands-on learning for building deep technology startups. Based on Steve Blank’s Lean Launchpad courses taught at Haas and COE, participants will form teams around existing UC Berkeley IP. Inventors will serve as technical advisors to the teams, but students will do the work of talking to customers, partners, competitors, etc. as they search for a product-market fit that will lead to a scalable business model. The Sutardja Center for Entrepreneurship and Technology provides numerous opportunities for students who have successfully completed our courses and/or programs to serve as fellows. Students are selected to participate in the course and may support academic courses through mentorship, participate in academic programming and/or related Center research, as well as serve in various capacities to promote the academic and research goals of the Center. This Entrepreneurship course is designed for upper-level undergraduates and graduate students. Topics include the entrepreneurial process, customer discovery process, conducting market research, funding options, entrepreneurial finance and creation of the material for a business plan. Students undertake intensive study of actual business situations. The final outcome will be a short business plan Executive Summary and team presentations to a panel of investors. Do you want to learn about start-ups and what it takes to build one? 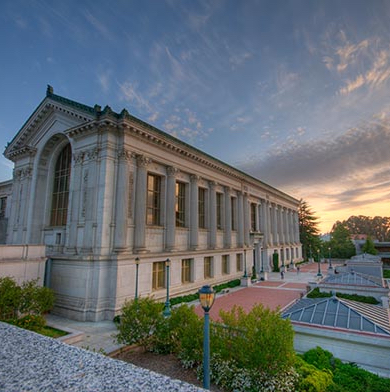 The Berkeley Method of Entrepreneurship Boot-camp is a four and a half day intensive program, the week BEFORE regular classes, offered by the Sutardja Center for Entrepreneurship & Technology (SCET). It is a cornerstone of SCET’s entrepreneurship curriculum providing hands-on experience to conceptualize and launch a start-up business. Contact Jesse Dieker at jdieker@berkeley.edu for additional questions.